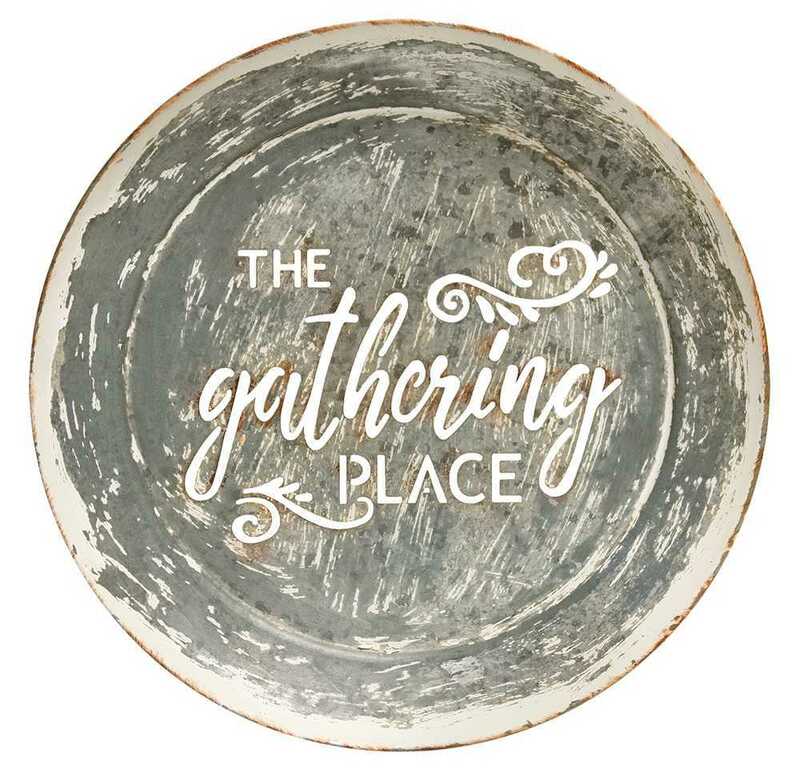 Minimum quantity for "The Gathering Place Distressed Metal Cutout Sign" is 6. 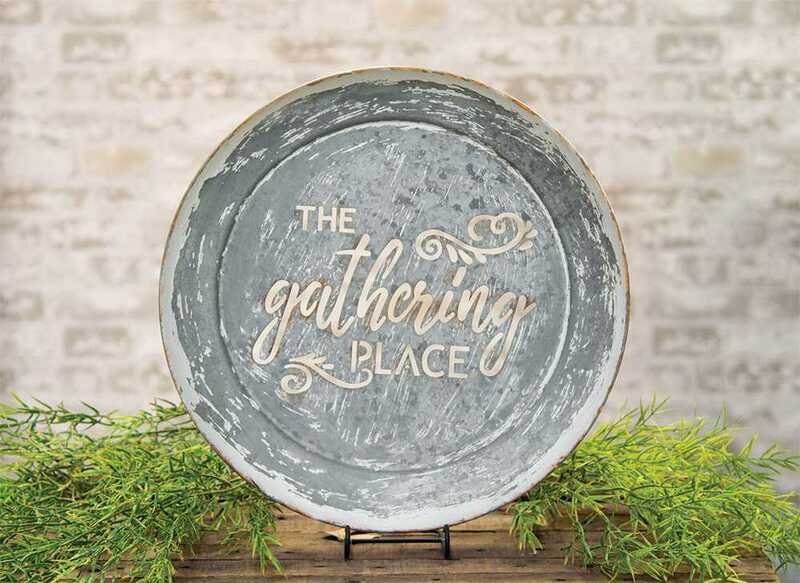 The Gathering Place Distressed Metal Sign is made of galvanized metal and resembles a large plate in shape with a flat back and curved rim. It's painted dusty green with a white wash finish and rusty trim, and features a laser cutout of the phrase, "The Gathering Place." A sawtooth hanger in back allows for easy hanging. Measures 14.5" in diameter by 1.5" deep.